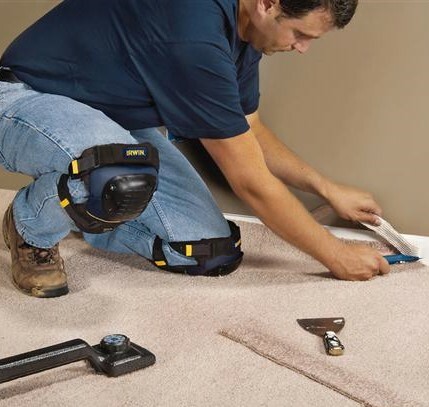 Choosing the right carpet underlay is an important step when getting new carpet. At The Flooring Room in Tauranga and Palmerston North we’ll talk you through the various underlay options to ensure it fits with your lifestyle and budget. For domestic use, there are three main types of underlay – rebonded foam chip, waffle rubber and extruded polyurethane, with the most common being re-bonded foam chip due to its high performance. It also has a great environmental story, being mainly made from recycled content. Commercially (or in specific domestic situations such as where wheelchairs are used) a dense slab underlay can also be used. When purchasing carpet underlay you will often hear of 8mm, 10mm, 11mm or 11.5mm underlay. The important element missing from these descriptions is the density of the underlay. If it’s too dense you will not get the comfort and if it’s not dense enough the carpet will flex too much under the carpet causing future issues. Recently some suppliers have been bringing in 12mm carpet underlay however this can cause issues with the carpet coming away from smoothedge so is not recommended. When choosing carpet underlay it is also important to know what kind of carpet you will be installing. The environment in which the carpet and underlay are going to be in is also important. Ensure you get the right combination for the amount of foot traffic the area will get as well as catering for everyone that will use it including animals and children (which may call for a more durable option). If you need some advice, feel free to pop in to our showroom in Tauranga or Palmerston North for a chat or you can book a free measure and consultation with us. We can visit you at your home at a time that suits.